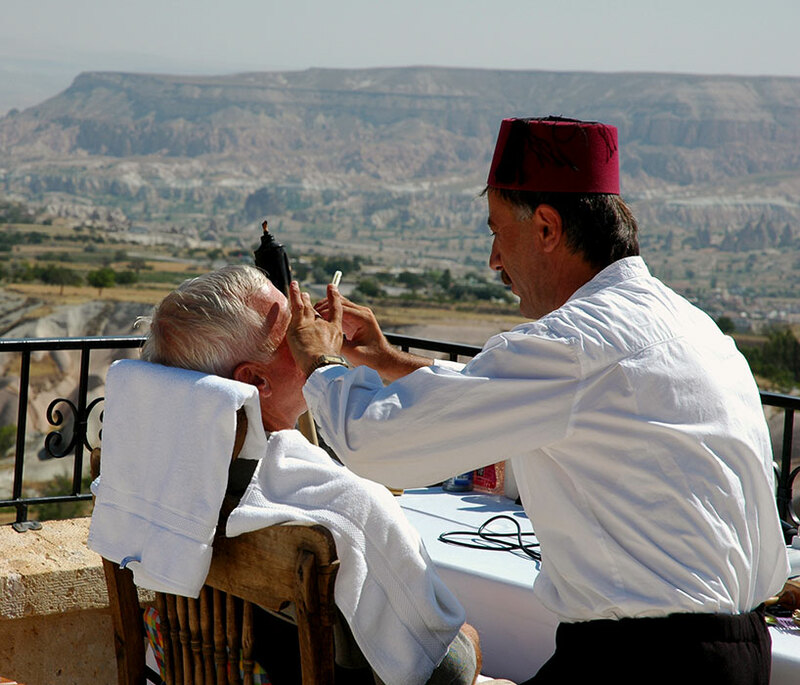 Museum Hotel offers you a healthy and happy vacation with different massage techniques and professional touches. 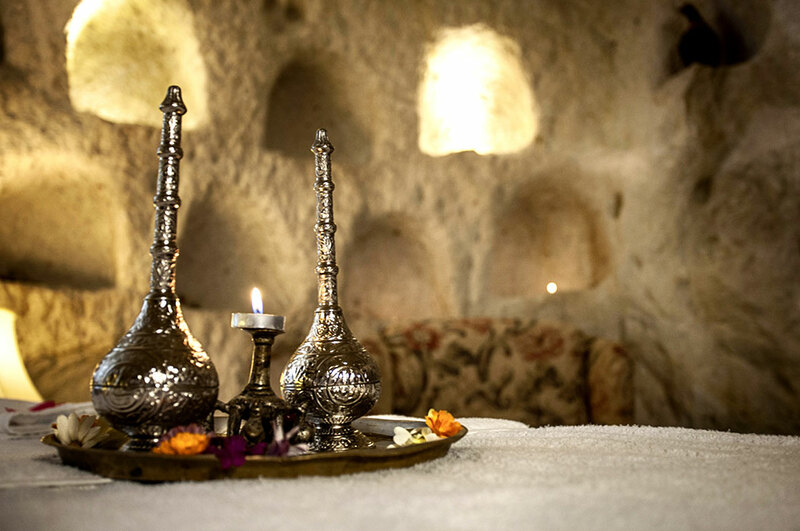 Our special massage treatments with distinctive herbs and herbal oils will relax you and gently immerse you into the tranquility and joy of Cappadocia. 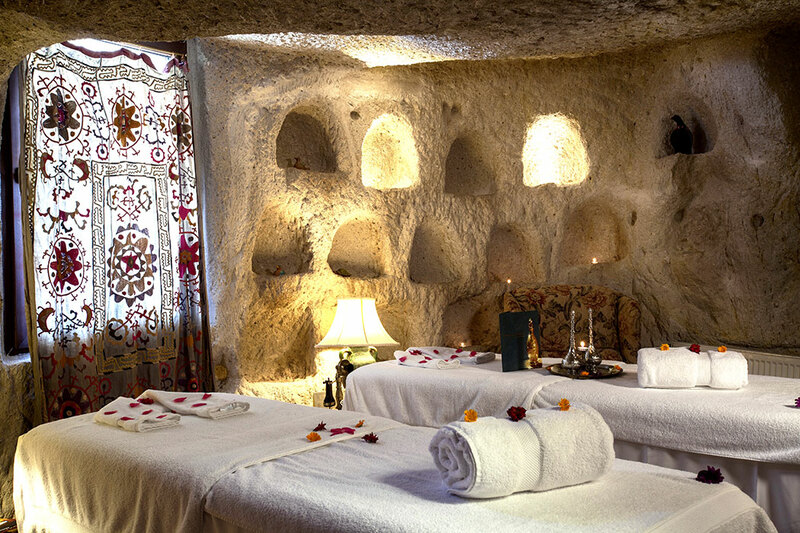 During your stay at Museum Hotel, choose to have your massage either in your own room or, for an unforgettable summer season experience, on our special Massage Terrace where both the wonderful Cappadocia scenery and magical hands of our masseuse will envelop you. 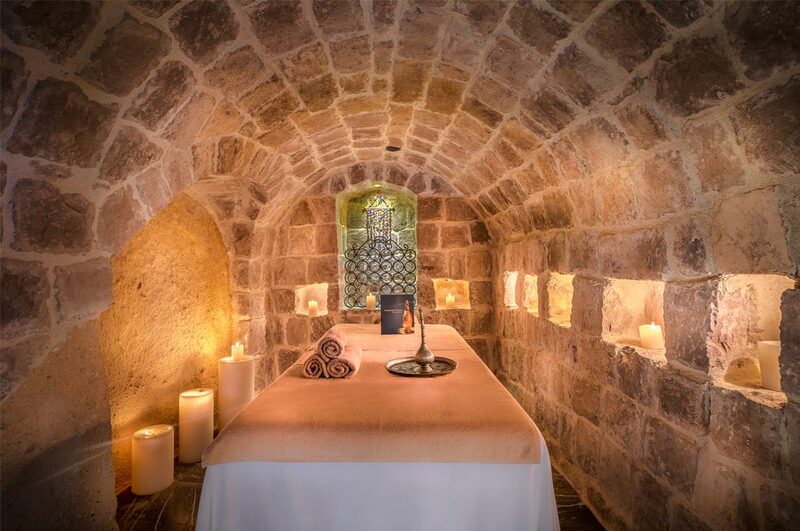 If you wish (between June and October), you can experience a special massage in one of the hidden and mystic valleys as part of our Valley Experiences. 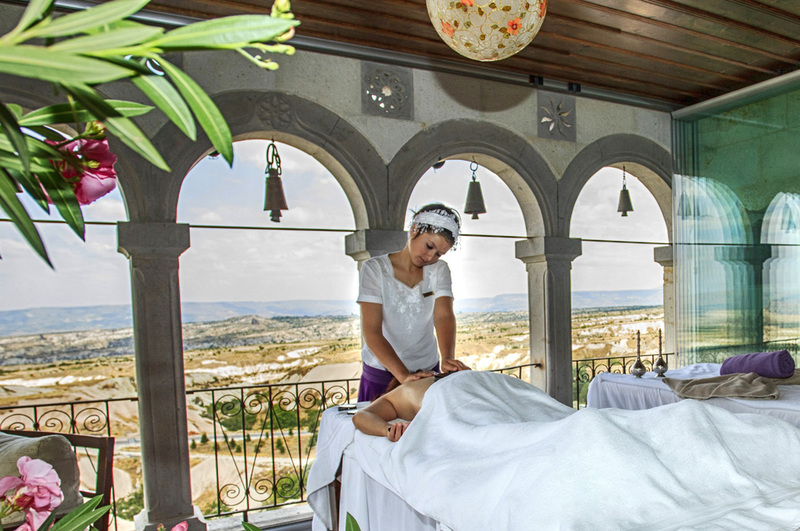 Choose from a variety of special massages, such as our Ehl-i Massage, Cariye's Secret, Asian Silence, Sultan's Pleasure, Secret of Aphrodite, and Cappadocian Roses from menus (which you can find in your room)—all carried out with a professional touch.